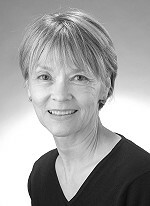 Barbara Dafoe Whitehead is co-director of the National Marriage Project at Rutgers, the State University of New Jersey. An award-winning journalist, Whitehead writes about social and cultural issues for many publications. She is also the author of The Divorce Culture: Rethinking Our Commitment to Marriage and Family. Whitehead studied at Columbia University as a Woodrow Wilson Fellow and earned a Ph.D. in American social history from the University of Chicago. The National Marriage Project is a research and public education initiative based at Rutgers, the State University of New Jersey. Led by David Popenoe, Ph.D., a professor of sociology at Rutgers and Barbara Dafoe Whitehead, Ph.D., the National Marriage Project studies and reports on social and cultural trends affecting the state of marriage in America. The State of our Unions, its annual report on dating, mating and marriage, is widely cited as a source by both national and international media. There is a new kind of single woman. She is the independent, accomplished, and liberated. She is the lucky beneficiary of much social good will and investment in her education and career. But, as confident and successful as she is in these important areas of life, she is not so confident and successful in her search for love. I also saw evidence of her plight closer to home. I have two daughters and four nieces, ranging in age from their mid-twenties to their mid-thirties. All are well-educated women who work and live on their own in exciting cities. All are single. Only one has ever married and her marriage ended after a year. Though all the young women in my family have happy and busy lives, with lots of friends and travel and new experiences, their path to lasting love can be full of unexpected twists, turns and drop-offs. Sometimes they even wonder if there are any good men left. They aren’t alone. Among women like them, this perception is widespread. But it turns out to be false. Contrary to gloomy media forecasts, recent projections give educated young white women an extremely good chance to get married. So the question arises: If their chances are so good, why do many of them believe otherwise? Why are some of today’s most accomplished and attractive young women discouraged about their love lives? To answer these questions, I wrote the book.